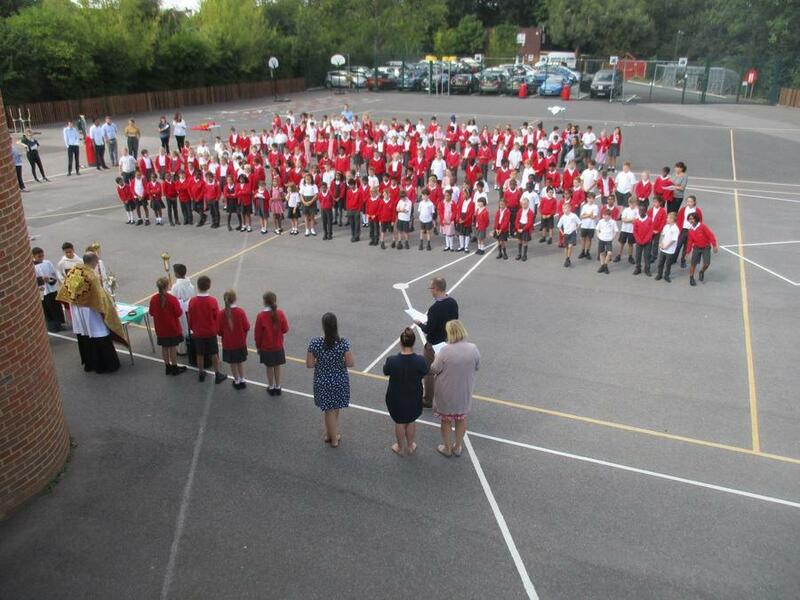 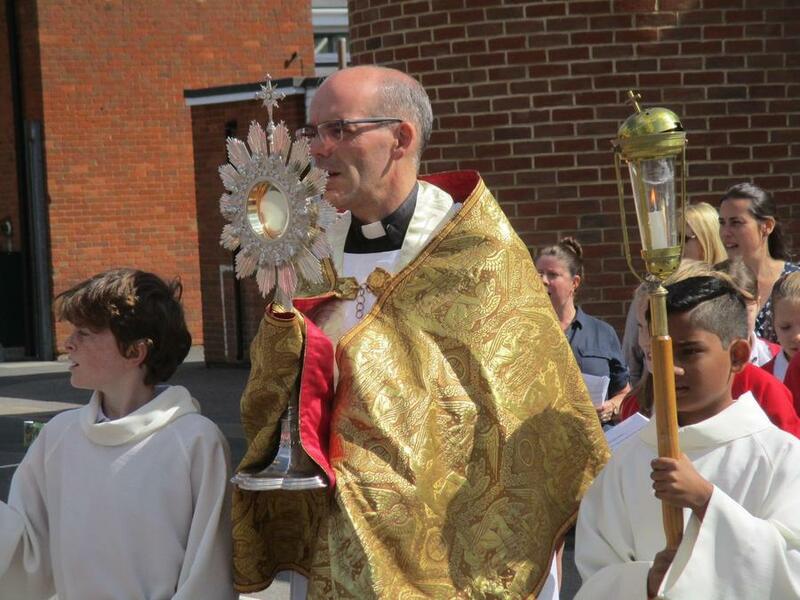 Today pupils in Years 4, 5 and 6 took part in a procession led by Fr Graham to adore the Blessed Sacrament. 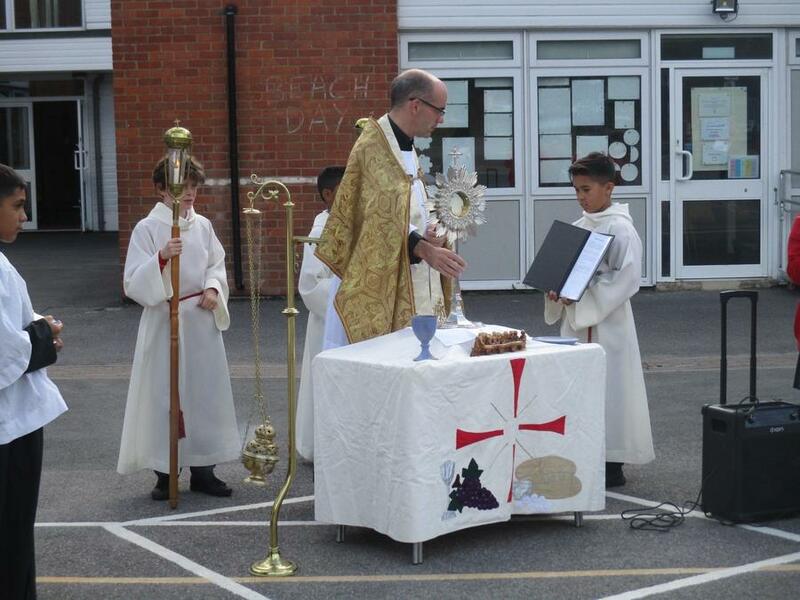 This encourages pupils to develop a deeper understanding of the place of the Eucharist in the life of the Church. 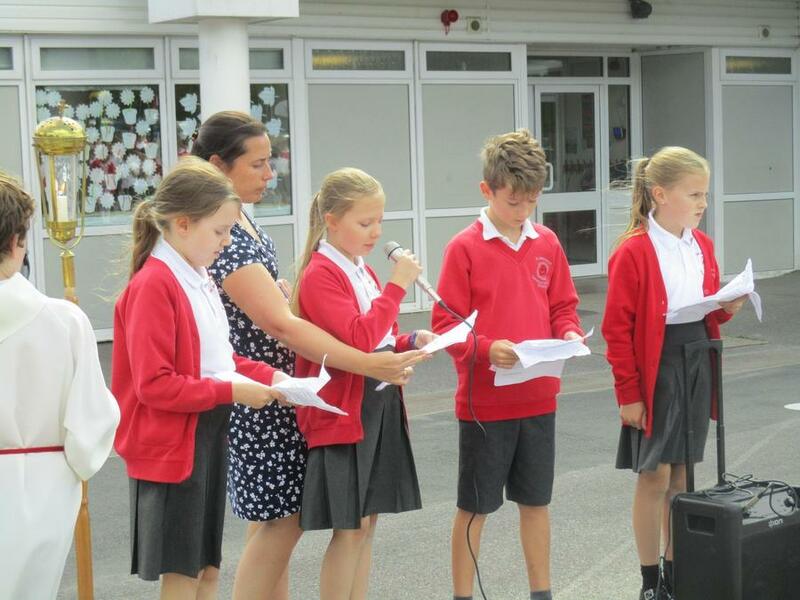 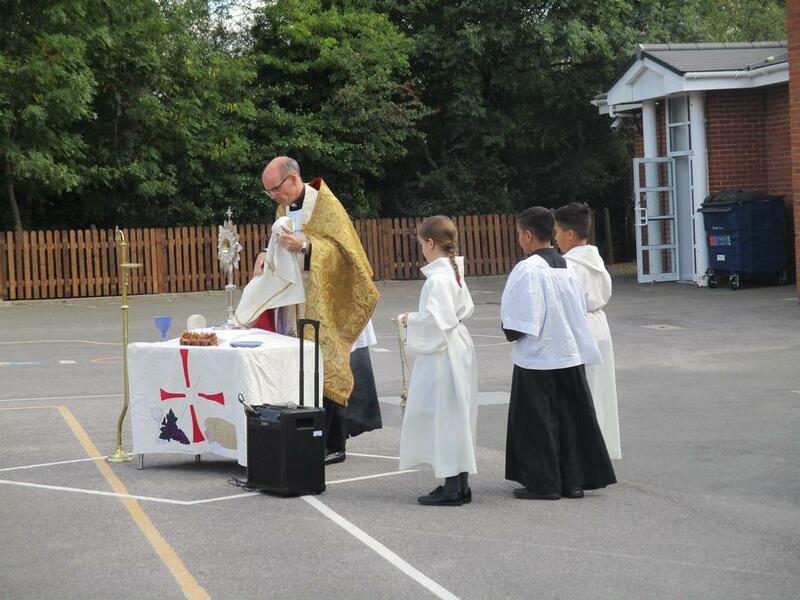 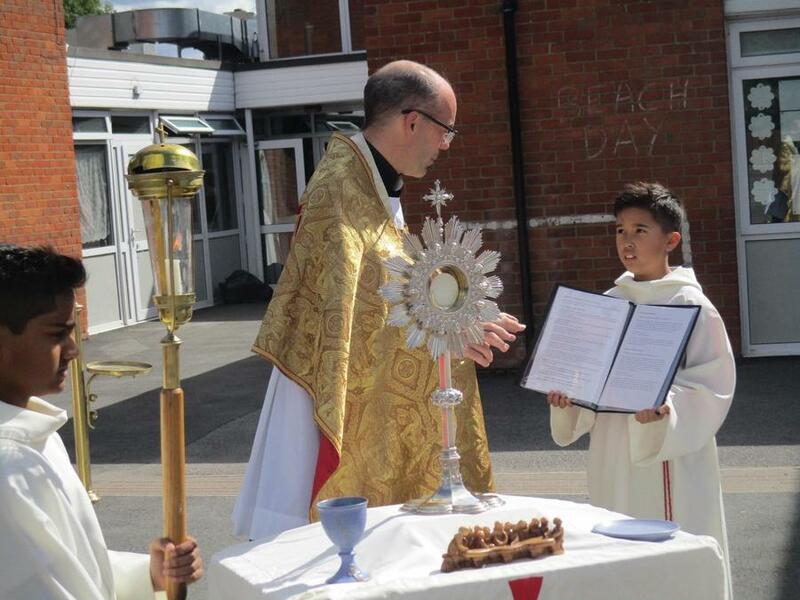 Pupils are learning to show devotion towards the presence of the Lord Jesus in the Eucharist. 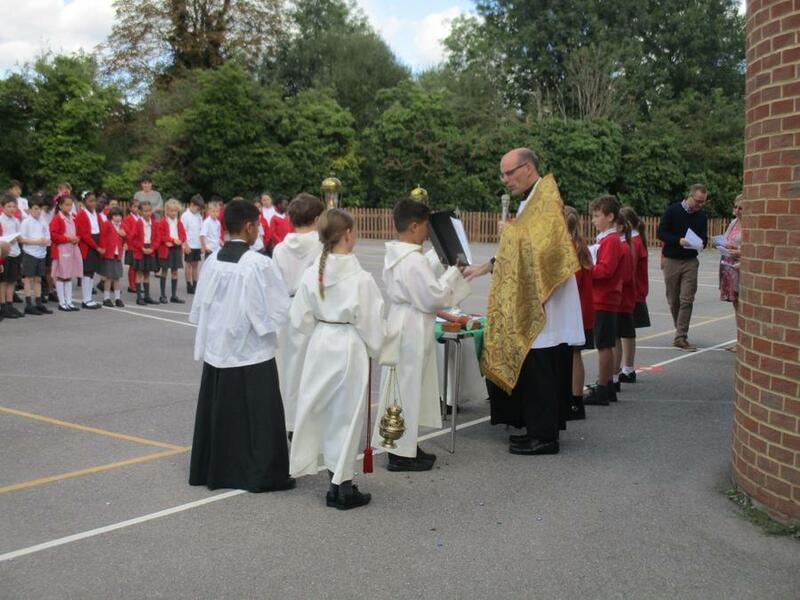 Our altar servers and Catholic Life Ambassadors helped prepare four altars to represent earth, wind, fire and water and readings were done at each altar. 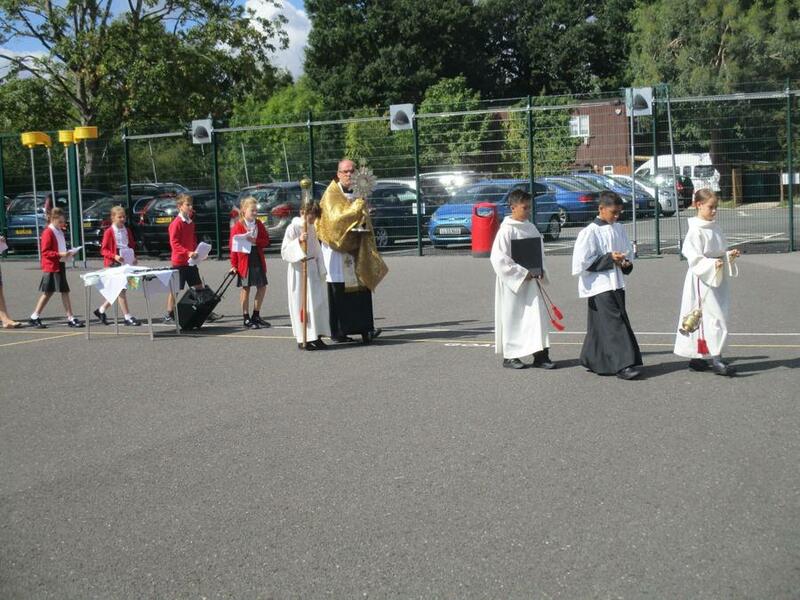 Many thanks to Mrs O'Brien and Mrs Briggs for working with Fr Graham to arrange this opportunity.